This year marked the first time that the Super Bowl was streamed online and that didn't go over too well in some media circles. 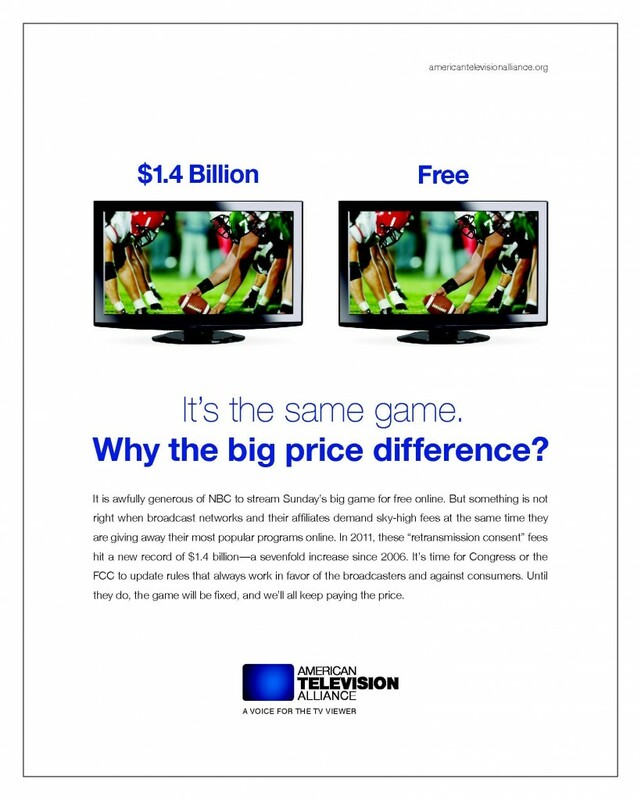 The American Television Alliance, a group comprised of US cable, satellite and internet providers, published an advertisement (see graphic below) in the sports section of Sunday's New York Times and in papers in both Super Bowl teams' home markets (as well as in Washington, DC) on Friday decrying this 'freebie' when the broadcast networks are asking for record fees to re-broadcast their programming over the alliance member's outlets. The ad is in reference to pending legislation before Congress to revamp or eliminate current FCC rules pertaining to the relationship between the over-the-air broadcasters and the growing number of alternate outlets for their content. 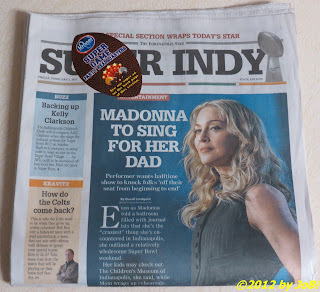 With current trending indicating viewers moving away from television in favor of other media-capable devices for their entertainment, this issue may only be in the 'first quarter' of a long legal game for a prize much more valuable than a sterling silver trophy.